Ideal for outdoor construction and industrial applications, the Genie Z45/25 4WD engine-powered articulating Z booms provide lifting versatility with a combination of up, out and over positioning capabilities and outreach that's second to none. Up & Over clearance 23' 6"
Click here for the Range of Motion Chart! 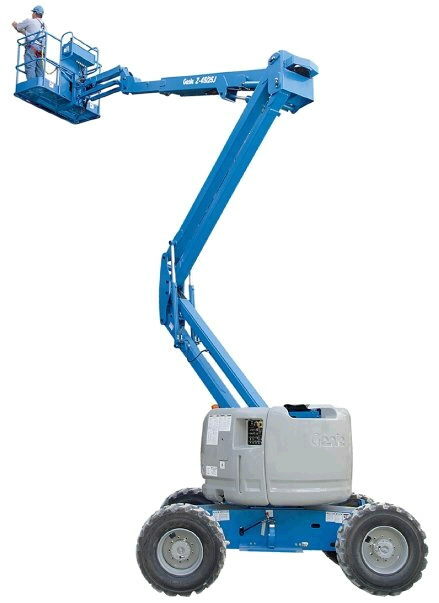 * Please call us for any questions on our genie z45/25 4wd aerial lift rentals in Durango CO, LaPlata County, Mancos, Ignacio, Cortez, Bayfield, Pagosa Springs, and Silverton CO. Bringing the best in equipment rentals and supplies to Durango Colorado, LaPlata County, Ignacio, Cortez, Bayfield, Mancos, Pagosa Springs, and Silverton CO.
Join our mailing list for great tips and special savings!